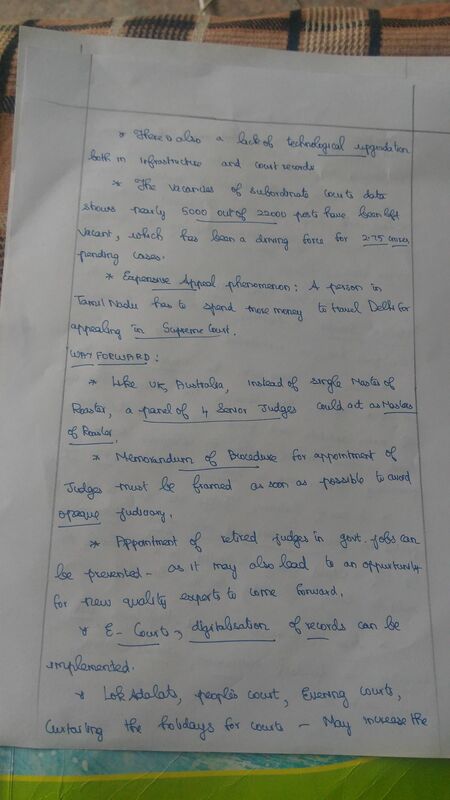 Try to include e-courts mission mode project, Memorandum of understanding etc. Keep Writing. 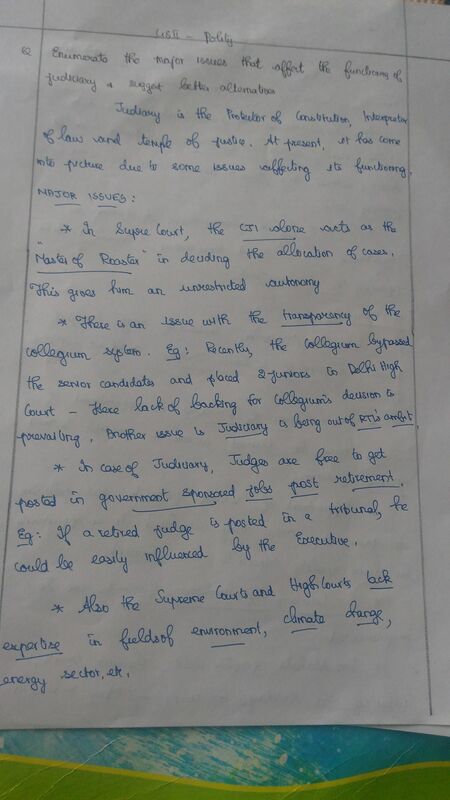 · The first major issue is the idea of the CJI as the “master of the roster”. 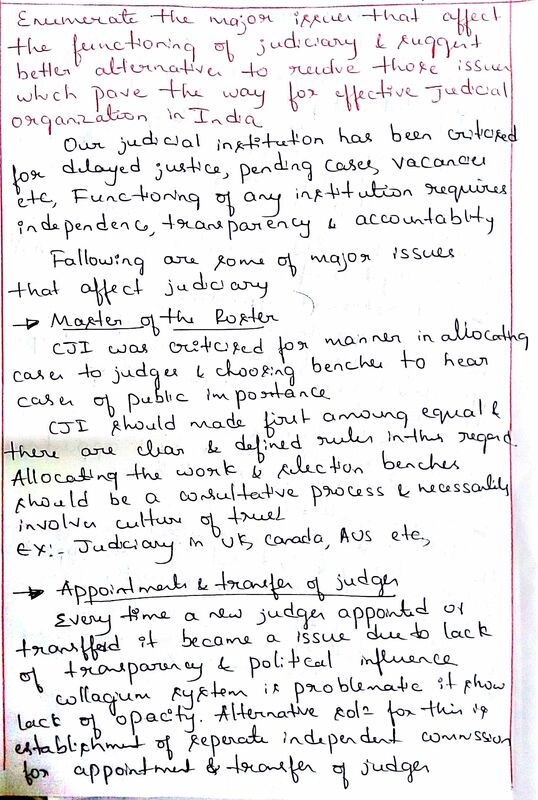 The previous CJI was criticised by many for the manner in which cases were allocated to judges arbitrarily. 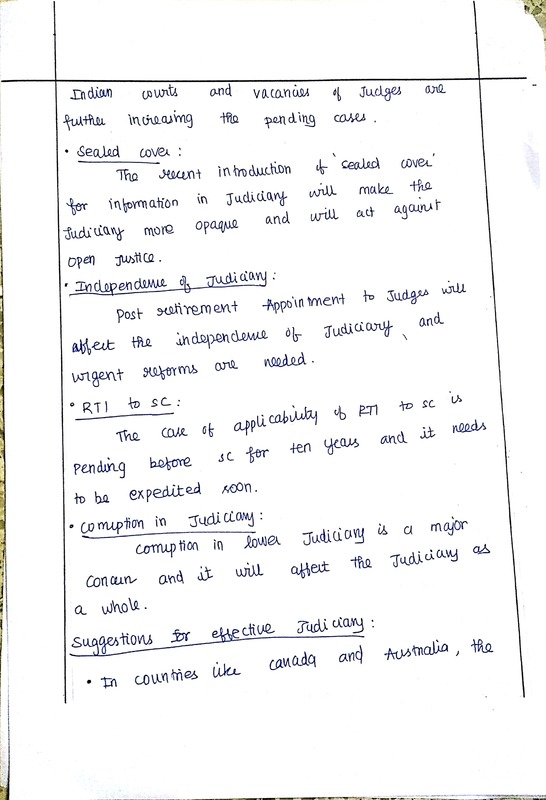 · The second issue is of how appointments to and transfers within the higher judiciary continue to be made., showing the opacity in the collegiums. · The third issue that concerns is the “sealed cover” as a means of receiving information about cases, having used it in three highly-documented litigations. This is completely against the idea of open, transparent justice and misuse of secrecy of information. 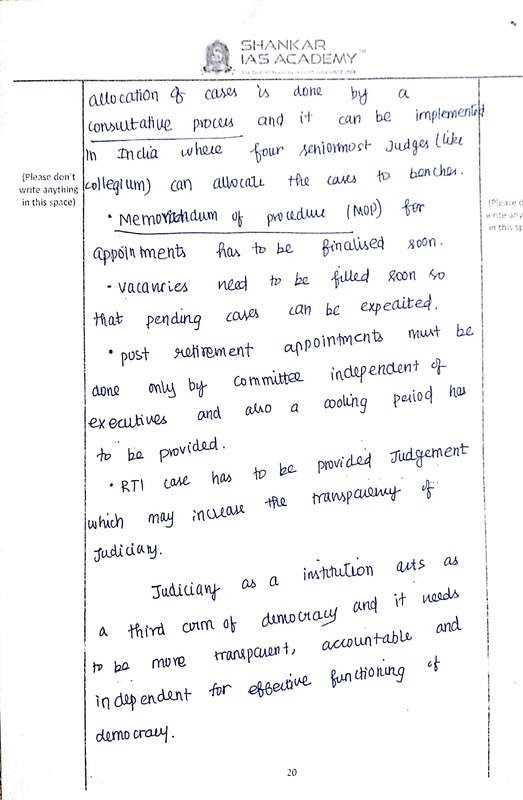 · The fourth issue is about post-retirement appointments, it is clear that such appointments really compromise the independence of the judiciary. 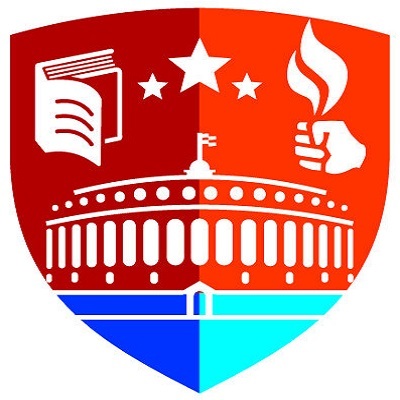 · The fifth issue is that of the appeal made to the Supreme Court by itself against the order of the Delhi High Court on the applicability of the Right to Information Act, 2005, to the judiciary. 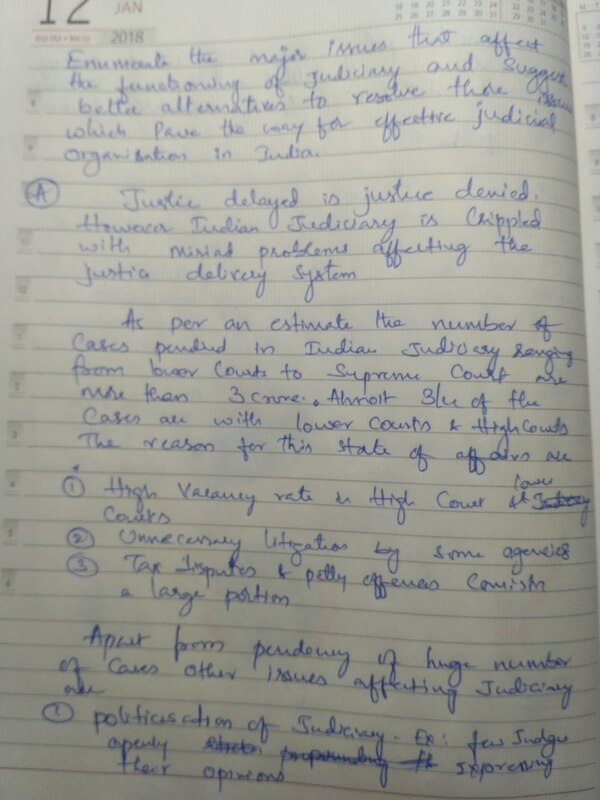 · Vacancies in the lower judiciary across states resulting in the piling up of pending cases, according to National Judicial Data Grid, around 3 crore case are still pending. 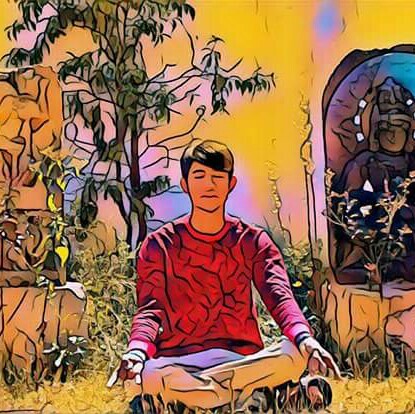 · In democratic countries around the world, like UK, Canada, the allocation of work and the selection of benches is a consultative process, and necessarily involve a culture of trust. This needs to be reflected in the Indian Judiciary. 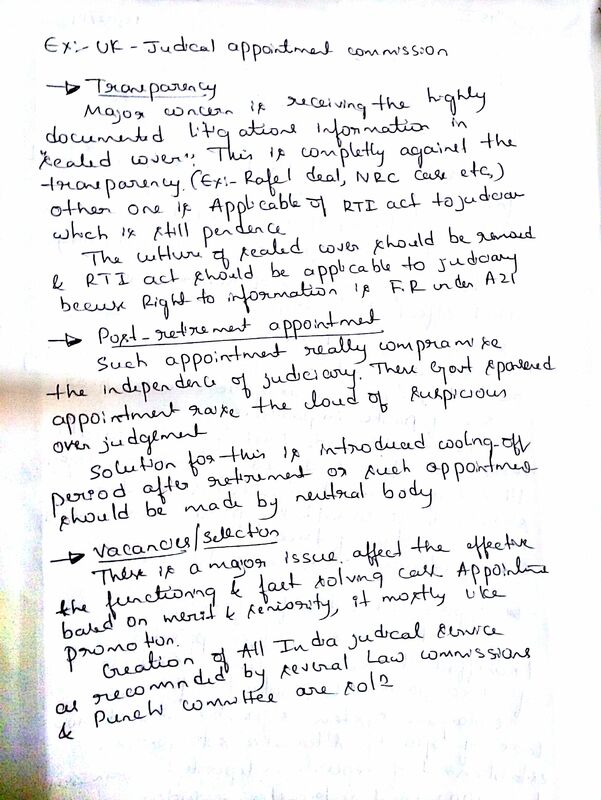 · Transparency in collegiums has to be made through comprehensive Memorandum of Understanding between Judiciary and Executive. · Jurisprudence clearly shows that such secretive information should be resorted to only in exceptional cases. This needs to be adhered by Judiciary. 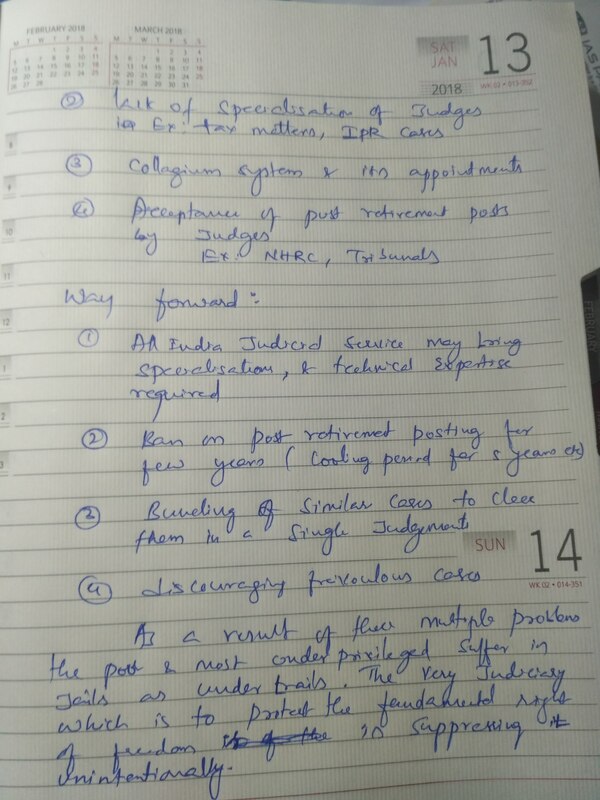 · In case of post-retirement appointments, ideally, there should be a policy decision to introduce a cooling-off period after retirement before taking up new appointments. Or such appointments should be made by a neutral body which is free from executive influence. · Judgement regarding Supreme court rules and Right to information act 2005 needs to be decided comprehensively and rationally. 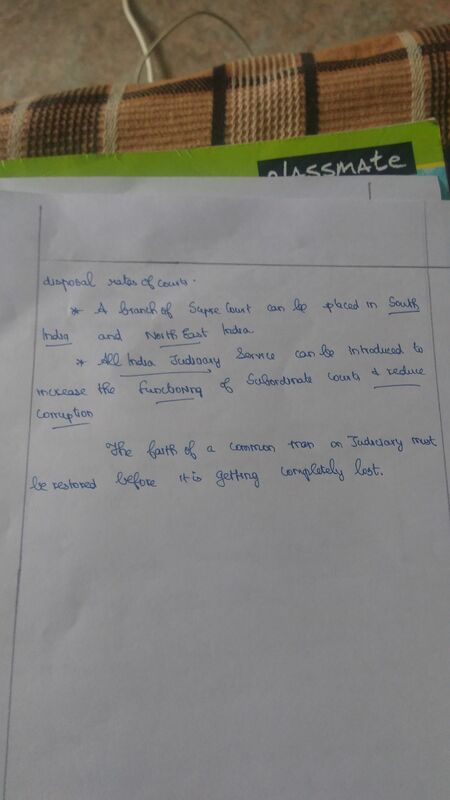 · Filling up of Vacancies by compoleting the cycle recruitment process within stipulated time by States with help of Central Recruiting agency like UPSC. 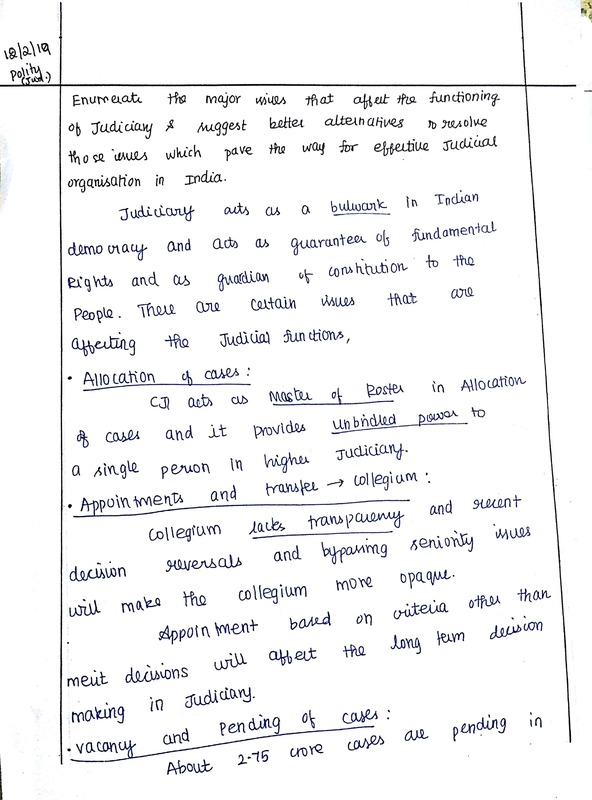 Include the Memorandum of Procedure for bringing in transparency in the Collegium. Keep Writing.